Two major fantasy sports operators said Thursday they would suspend contests involving teams and athletes from universities as part of an agreement with the governing body for college athletics. 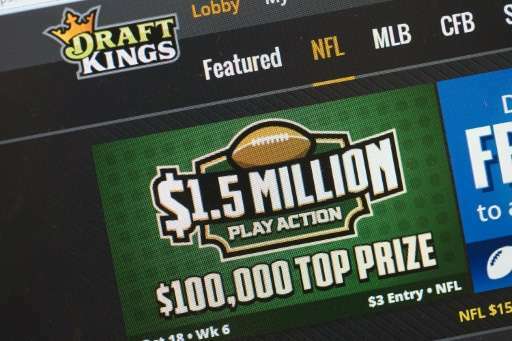 FanDuel and DraftKings said they reached an agreement with the National Collegiate Athletic Association to end fantasy sports contests at the conclusion of this weekend's basketball tournament. "We have decided to indefinitely suspend college sports on the DraftKings platform after the conclusion of this week's college basketball games," said a DraftKings statement. "There are many passionate DFS (daily fantasy sports) players who love college sports, but after a productive dialogue with the NCAA, their member institutions, and lawmakers, we feel that this is the best path forward for the industry at this time." FanDuel said it made a similar decision after "months of productive conversations with the NCAA, their member institutions and various state legislators." The fantasy sports operators allow participants to create virtual teams using real athletes and compete with other such teams based on the real-world performance of those athletes. Many regulators consider the fantasy sports contests illegal gambling, because they require participants to pay and allow them to compete for prizes. Nonetheless, fantasy sports has become a multi-billion-dollar industry that includes companies such as Yahoo. Yahoo and the other two major operators earlier this month said they would stop contests for residents of New York state as part of an agreement with regulators. New York State Attorney General Eric Schneiderman has been pressing to shut down fantasy sports operators and have them give back money earned in the state. The NCAA's basketball tournament with the top men's collegiate teams is to conclude with the "Final Four" matchups Saturday and Monday. The women's tournament and National Invitation Tournament are also concluding.